We offer to choose an unusual throne for yourself, focusing on what, to what clan of "Game of Thrones" you belong. These chairs are the most expensive and exquisite of all represented at the Market. Most of them are made by hand in the decoration used high quality materials and luxurious breeds of tree. This chair is made entirely by hand from solid American walnut, and can be presented in 5 colors: silver, gold, glossy white or black, brown nut. Wood used for the manufacture of chairs, has a high degree of stability and long-life. Surface with structural lines and streaks, creating spectacular color contrasts. Throne with aspiring skyward spire for Arryn dynasty - the rulers of the Eagle's Nest. 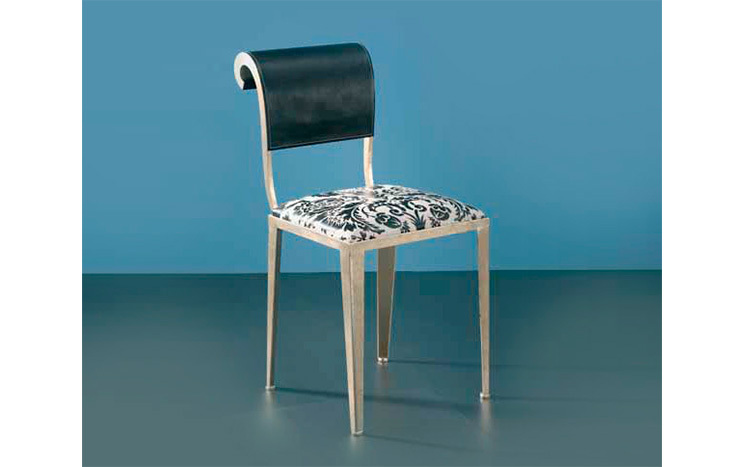 Сhair without armrests from a new line of Sicis Next Art created by Italian designer Carla Tolomeo, famous for its surrealist collection of upholstered furniture. 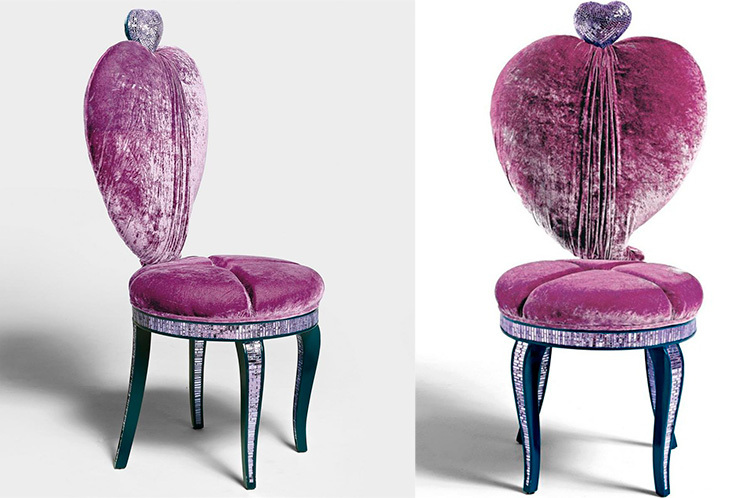 Silk velvet and pleated silk by famous fashion brands like Hermès and Missoni used the upholstery of the chairs. Truly the throne for the richest Lannister dynasty. 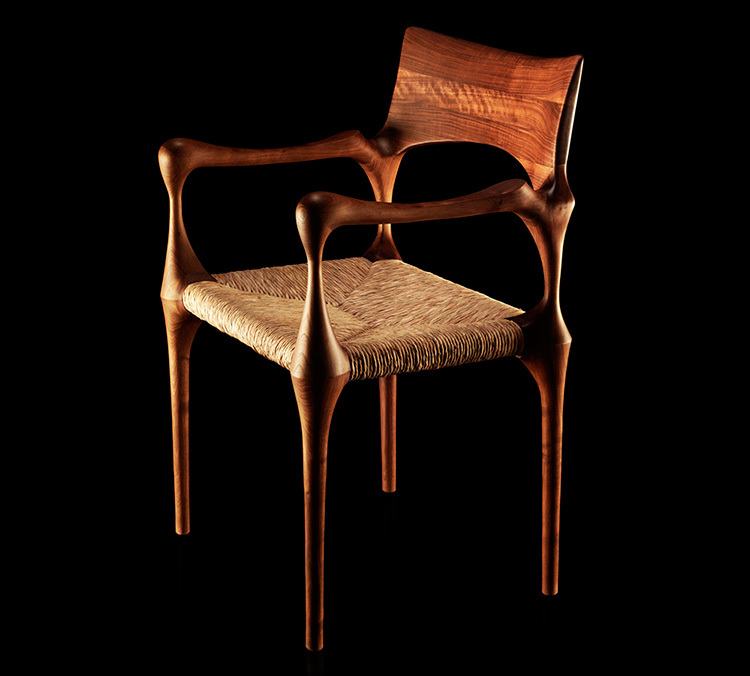 Chair My beautiful con braccioli. 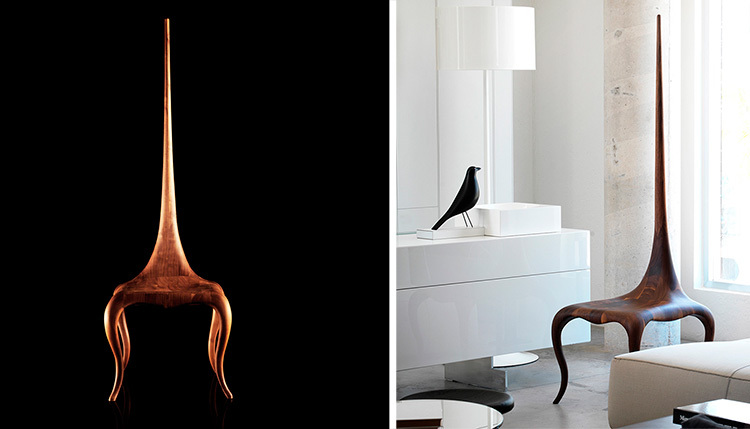 Chair braccioli by Italian designer Roberto Lazzeroni surprises with unconventional twists. 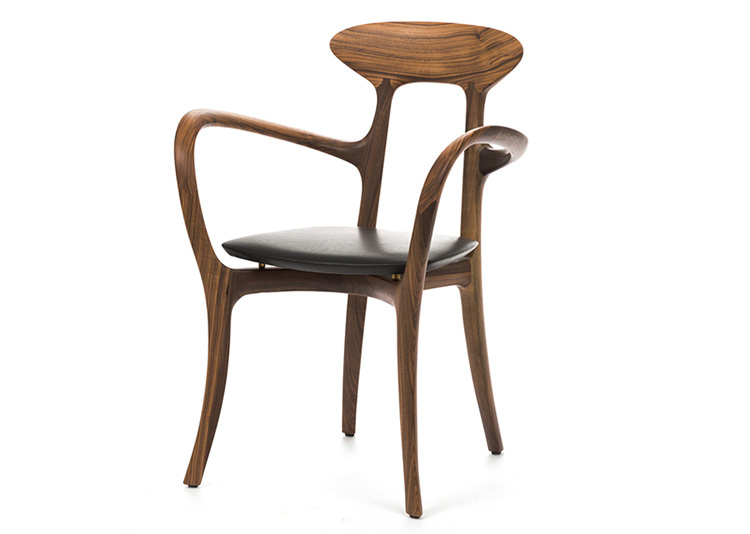 The successful combination of the frame of American walnut and black leather upholstery of the chair assembled by hand, is a kind of work of art. The majestic throne of the northern House Stark, symbolizing the combination of strength and wisdom. 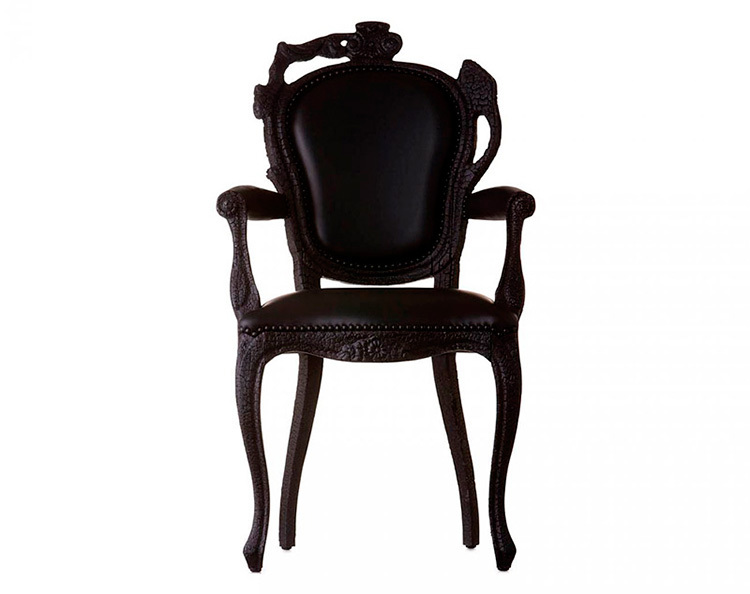 Chair of the Italian collection Lucrezia. Metal legs and frame in silver color. Seat upholstered with fabric painted with amazing designs. The back is covered with leather. Elegant throne for the House Tully - rulers of Riverlands. Chair Camus Collection Sara Bond Enea Fiber Seat. The frame is made from solid American walnut, completely handmade. The seat of this comfortable chair consists of interwoven factory strands. But the frame of solid American walnut is made by hand. As in the chair Lady Sting Walnut, which is mentioned above, the surface feature lines and streaks, bright on a dark background. Camus Collection masters use timber from environmentally friendly plantations, which are supported by cycles of recovery of forest areas. Throne for Martell family, famous for their courage and straightforwardness - freedom-loving southern Dorn dynasty. Chair Moooi Smoke Dining Armchair. Moooi Smoke series created by designer Maarten Baas eminent collaborating with Dior, Louis Vuitton, Swarovski; even Hollywood stars like Brad Pitt and Kanye West have things of his authorship. Each of his creation is tested in fire. After charred wood is processed so as not to get dirty and do not crumble. The output is an amazing texture of burnt wood. Cured epoxy resin and the wood is used to make elegant legs of chairs. Seats and back are covered with fireproof black leather, so that the chair "does not burn in the fire, and did not sink in the water." Throne for the Targaryen dynasty, in whose veins flows the blood of the dragon. Collection of Ming - the result of China's cultural heritage research. Chinese designers of Neri & Hu which are selected carefully and checked for a deep respect for tradition, combined the past with the present and create a fresh and modern and stylish collection. Collection Ming has a new look and offers an eclectic mix of Asian decorative art and Western functionality. This throne can only belong to the most cunning of all the houses of Westeros Tyrell Dynasty, combining lightness and at the same time commitment to the deepest traditions.